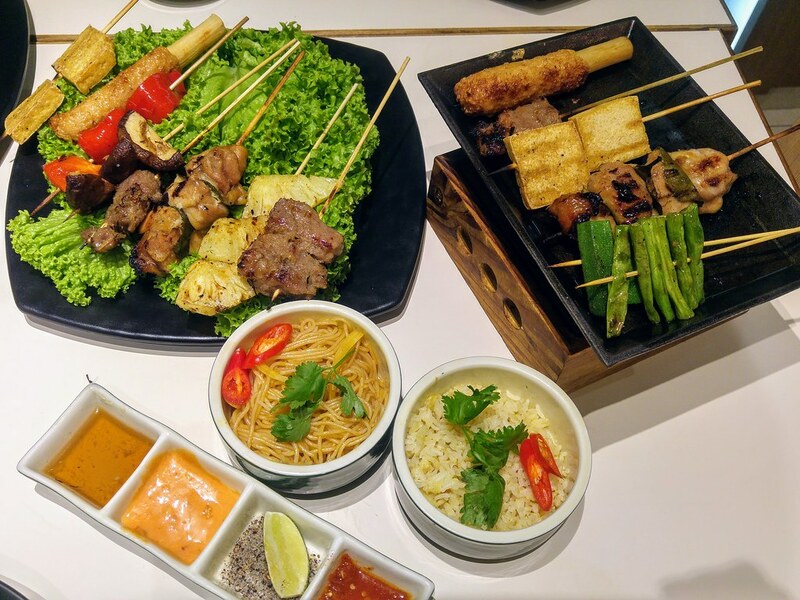 In Vietnamese cuisine, grilling forms a huge part of it, though it is not that pronounced over here in Singapore. 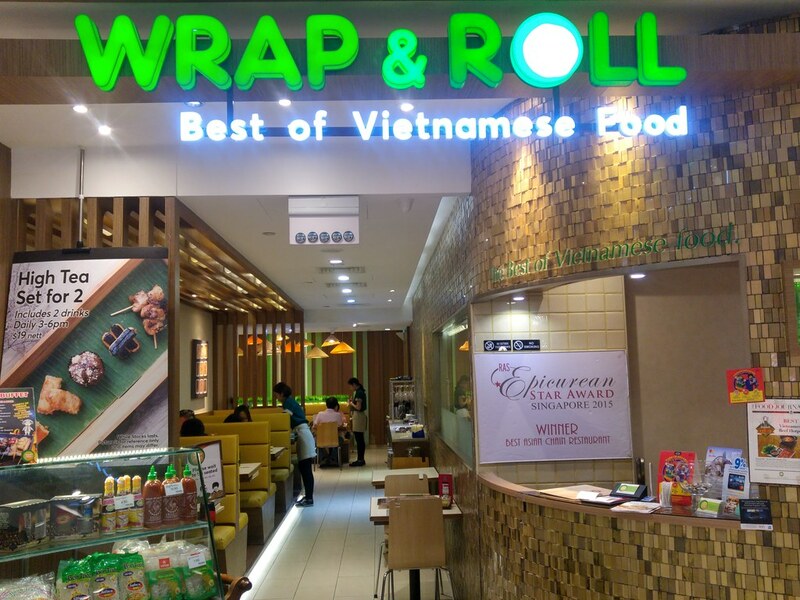 However, you will get to experience that at Wrap & Roll latest offering at its Ion Orchard outlet - the very first Vietnamese Skewer Buffet in Singapore. The buffet is ala carte format. You get to choose from starters, deep fried & bites, meat & seafood, as well as vegetables. Drinks will be free flow at $2.90, beer at $5 a bottle. 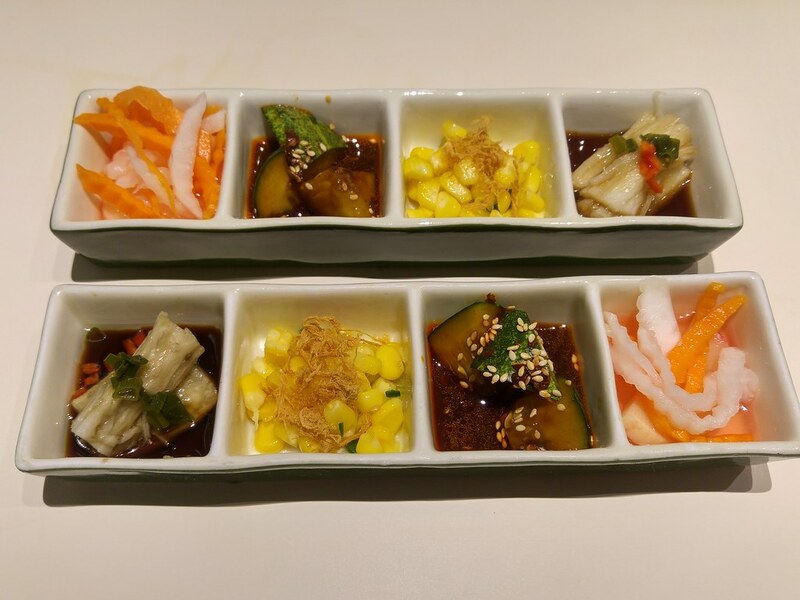 After ordering our items, we were given some starters first while waiting - Butter corn with pork floss, brinjal with spring onion, spicy cucumber cubes and pickled carrot. The brinjal that comes with sweet sauce was quite likeable and my favourite is the pickled carrot. Repeated orders were made for that as it went really well with all the meat skewers. It took a while for our food to come as all will be served at one go. There is a hot plate to keep the food warm but do be careful not to put your skewers on it for too long and it may burn your food. I would highly recommend the fried Spring Rolls with Pork & Seafood as they are really made of the Vienamese rice paper instead of our local popiah skin. Do eat it as soon as it is served. The stir fried noodles and fried rice are passable. 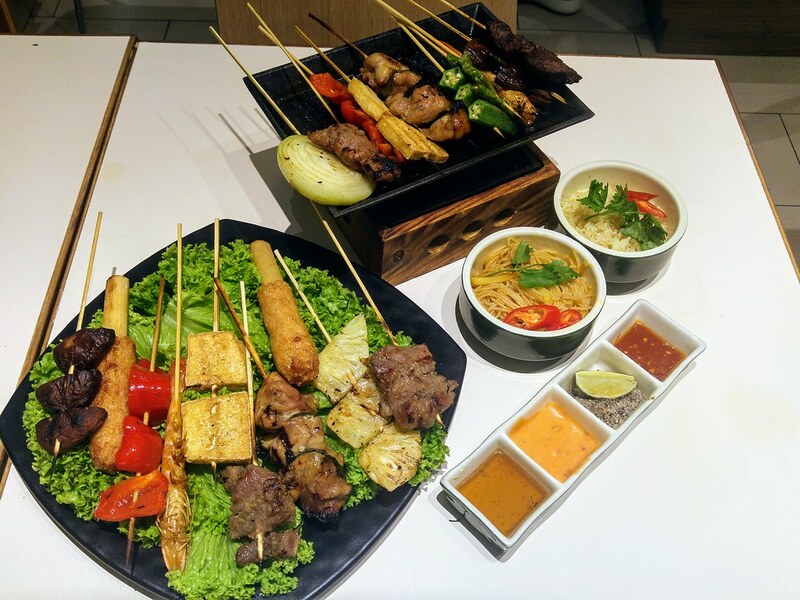 There are 4 signature meat and seafood skewers - Lemongrass Chicken, Hanoi Pork Skewer, Hanoi Tumeric Fish and Beef Wrapped with Cheese & Onion. The Hanoi Pork Skewer brought back fond memories of my trip to Vietnam. Pork slices held together by 2 charred sticks was how it is done back in Vietnam but with a much longer and thicker sticks. I enjoy the process of removing the meat, placing it onto the vegetables and in it goes into my mouth! 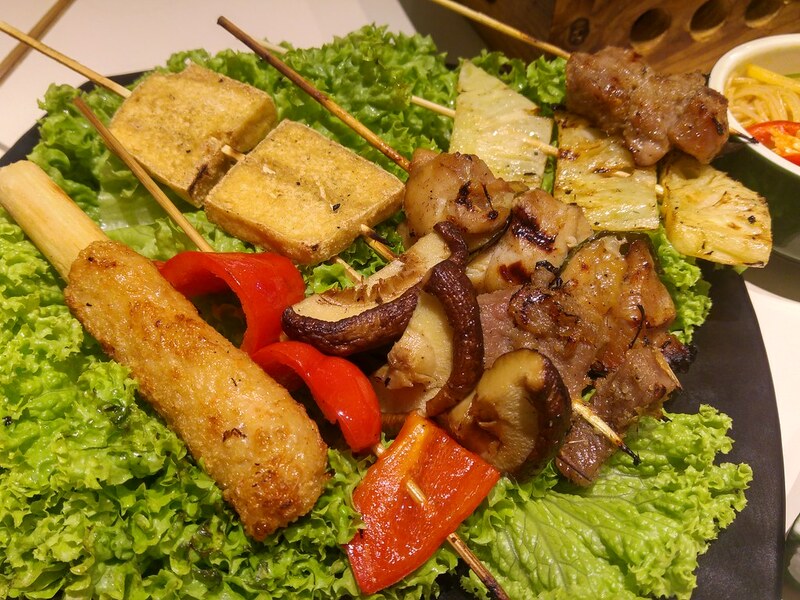 Every grilled skewer has it own unique individual marinate. However, you may still spice up your skewers by dipping them into either of the 4 specialty Wrap & Roll sauces given. 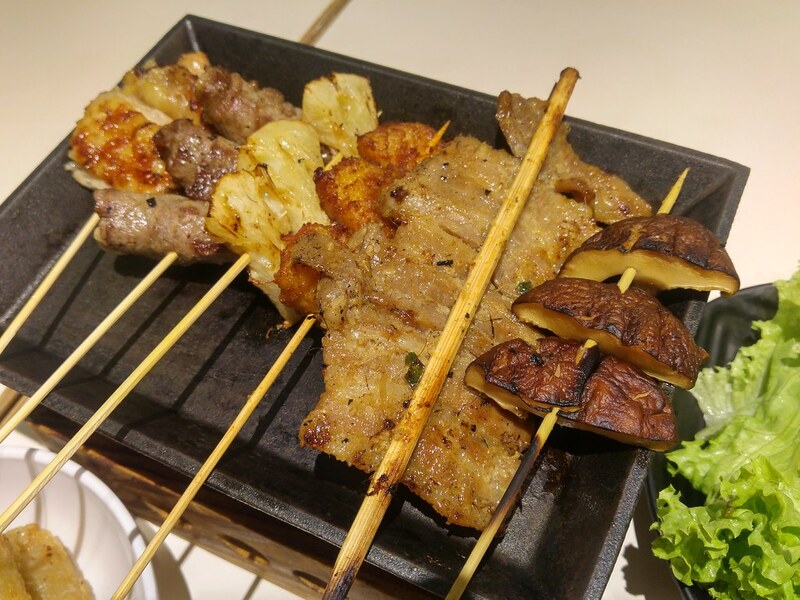 Among the beef skewers available, the recommended beef with cheese & onion is indeed a better one as it is much more tender and juicer. The Chicken with Lime Leaves is just as good as the Lemongrass Chicken. The meats were tender and the hint of the lemongrass and lime leaves elevates the flavours. Don't neglect the vegetables skewers! They complement the meat and balance up the meal. It's so rare to find grilled pineapples on the menu but it is offered here. It goes so well with any grilled meat, just like that of burgers! Grilled shiitake mushrooms is of course always welcome, and the grilled capsicums is great with chicken. The waiting time for the food can be quite long, perhaps the team has yet gotten the hang of the new launch. So do pace your ordering well, especially when the buffet is limited to 90 minutes. $22.90 on weekdays, $24.90 on weekends.